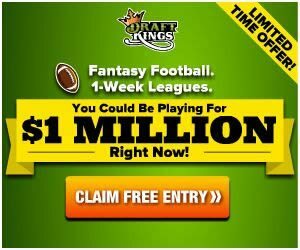 DraftKings announced their $4 Million Fantasy Baseball World Championship (FBWC) for 2018! The 1st place champion will receive $500,000! All 135 qualifiers will cash out! The DraftKings live championship will be held on Saturday, August 11, 2018 in New York City, NY. Each finalist will receive a VIP package ($36,369 value) including three night hotel accommodations for two to New York, a $1,000 credit for round-trip airfare, and transportation to/from the airport. The VIP package also includes one contest entry into the $100K FBWC Showdown contest on Friday, August 10, 2018 (TX @ NYY). You may qualify up to a maximum of four times for this tournament. The DraftKings FBWC is a qualifier event only. Qualifier events begin as of April 9, 2018. 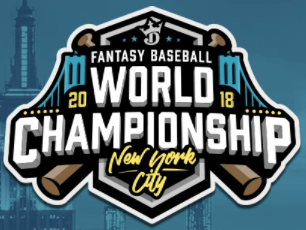 Fantasy baseballers, don’t miss out on your chance for your share of this guaranteed $4 Million prize pool in the world’s largest daily fantasy baseball championship!